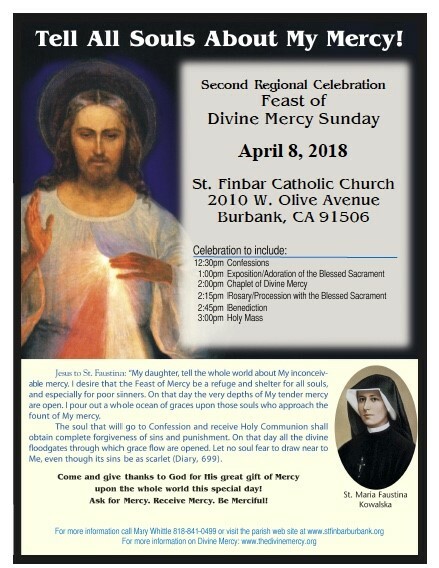 Please join us on Sunday, April 8th for our Divine Mercy celebration from 12:30pm to 4:00pm! The Sacrament of Reconciliation is available beginning at 12:30pm with a special Divine Mercy Mass scheduled for 3:00pm. Please see the accompanying flyer for more information!